ISLAMABAD: Pakistan is considering a proposal for a meeting with India’s military operations chief for lowering of tensions along the Line of Control and the Working Boundary through fresh confidence-building measures. A defence ministry official told the Senate defence committee on Monday that a “fresh proposal of DGMOs’ (Director Generals of Military Operations) meeting is being considered”. The defence panel’s meeting was chaired by Senator Mushahid Hussain, who heads the committee. Pakistan-India DGMOs have a frequent hotline contact, but they last met four years ago at Wagah. The Wagah meeting took place after a break of 14 years. That meeting was also held for discussing ways to ensure peace along the LoC and WB. One of the confidence-building measures being considered for the planned meeting of DGMOs is ‘calibre reduction’ of the arms being used at LoC. India committed 1881 ceasefire violations last year — the highest number of breaches since the 2003 ceasefire understanding. Those violations left 87 people martyred on the Pakistani side. The casualties included both civilian and military. The official briefed senators about the latest trends in Indian ceasefire violations. He said the Indian troops were “sniping with heavy calibre weapons and targeting women and children for terrorising civilian population”. He said the Indian forces were using “artillery, heavy mortars, missiles, rockets and heavy automatics besides employing deadly air bursts”. The official said that alongside calibre escalation, Indian troops were targeting lines of communication. Four Pakistan army soldiers, who embraced martyrdom in Jandrot, Kotli sector, in the latest attack, were busy in maintenance of ‘Line of Communications’ when they were hit by a mortar round. The official said that India had also increased airspace violations. Last year, 66 airspace violations were recorded. These violations were committed by remotely piloted vehicles, unmanned aerial vehicles and quadcopters. Three quad copters were shot down by Pakistan. He feared that supply of armed drones to India by US could add a new dimension to the situation along the LoC. 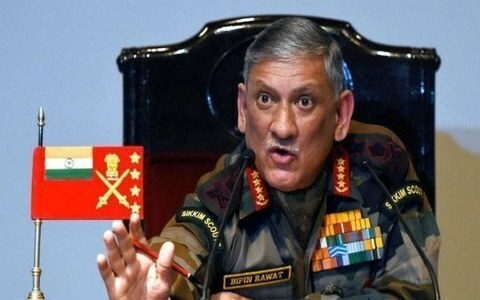 A resolution adopted by the Senate committee through consensus condemned Indian Army Chief Bipin Rawat’s statement about “calling nuclear bluff of Pakistan” as stupidity and provocative. They termed it a war-like proclamation. Meanwhile, the committee also discussed the matter of appointment of a serving major general to the post of Director General of Military Lands and Cantonments. The matter was referred to the committee by Senate chairman Mian Raza Rabbani. “The continued posting of serving military officers since 1999 on the civilian cadre post of Director General of Military Lands and Cantonments is an issue of violation of the Supreme Court’s June 2013 order, of conflict of interest, of keeping a prime minister not fully informed and demoralising civilian service cadres,” said Senator Farhatullah Babar. First, he said, the Director General of Military Lands is supposed to watch the interests of the land owner, namely the federal government, whereas the military was the user of the land. “Placing the interests of land owner into the hands of land user is a serious conflict of interests,” he said. 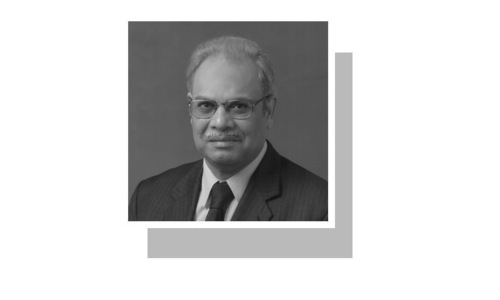 The Additional Secretary of Establishment, Mr Afzal Latif, informed the committee that the summary for amending the rules was moved by the defence ministry directly to the PM House and Establishment had nothing to do with it. After some discussion it was decided that the summary will be provided to members within a week. 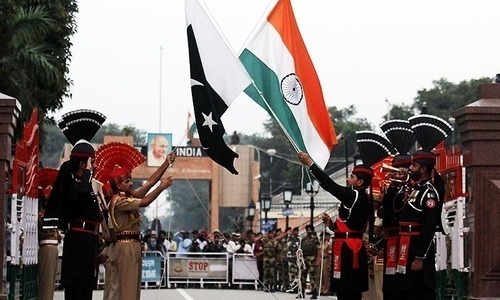 Can Pakistan-India ties be normal? Seven decades on, what have we gained from Partition? At last some good news...Keep it up. Now that's how brother talk. This really makes me happy as IndoPak are blood brothers. Come together my dear IndoPak and little Bangladesh also :) you are also our family member. We need this Brotherhood or our origins of Sindhu/Tamil Dharti so badly all problems will go away once we sit down and solve our issues, only one way to go forward and take our 1.6 billion people forwards is through love, 1.6+ billion when come together is very, very strong. Hope this good gesture get worked out. No result can be expected. Very worst relation between two neighbor. I really doubt whether anyone is really interested to solve the problem! Every alternate days people on both sides are killed by eachother. Both the countries are blaming eachother. What are we achieving? Both of us fighting and third parties are enjoying. Yeah Go ahead and talk to each other, because at the end of the day We common people have to suffer. Unless the core issues are addressed we will not go anywhere!! @Imtiaz Ali Khan I love you sir. Even under severe provocation,your comments always ooze positivism.Thank you. @Masood yess. Core issue must me solved first, than only talks.